Quilt designed, pieced, and quilted by Jen Perdue, using Modern Curves. are now available as paper pantos! Welcome to my Modern World! I've spent a couple of years drawing quilting patterns to fit the mood of the new Modern Quilt Movement. This is my first set of Modern quilting patterns. The response has been so positive and I've enjoyed seeing the quilts finished with them. 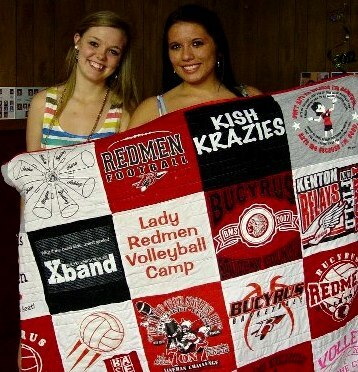 I've also had fun making quilts of my own and you'll see those throughout these gallery pages. Modern Gem and Modern Ogee can be set up in Repeat Patterns or they can be used Point to Point to fill any space. 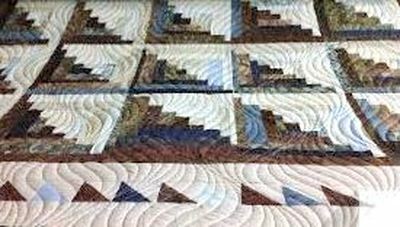 Modern Squares, Modern Orb, and Modern Logs are designed to be used in individual blocks of a quilt. Patterns do not repeat E2E. 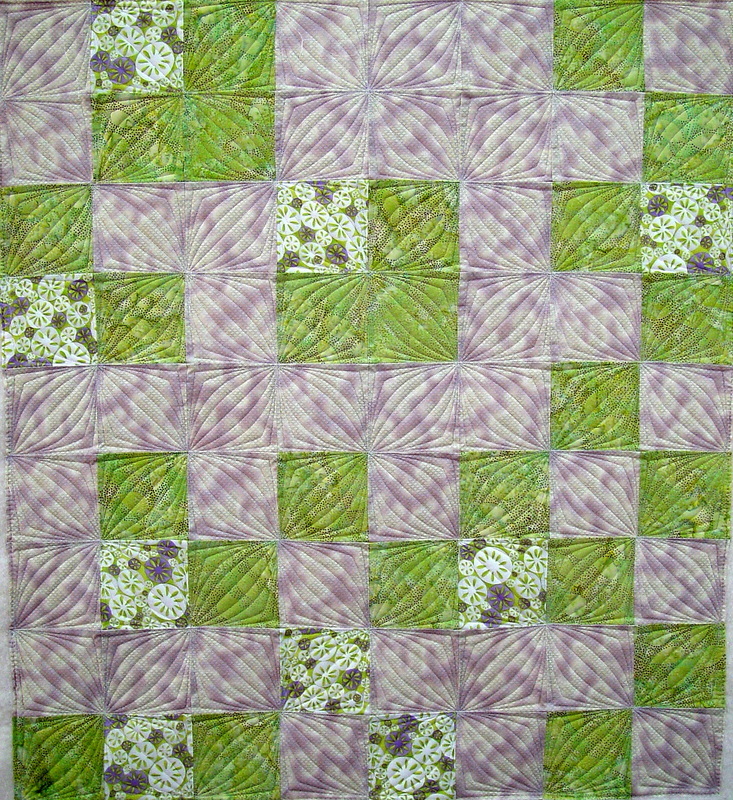 "Caliente" Modern Squares by Mary T.
The next seven patterns are drawn to stitch across the quilt and back again. Size them for the width of the quilt, or use Fill Inside to crop off what you don't need. 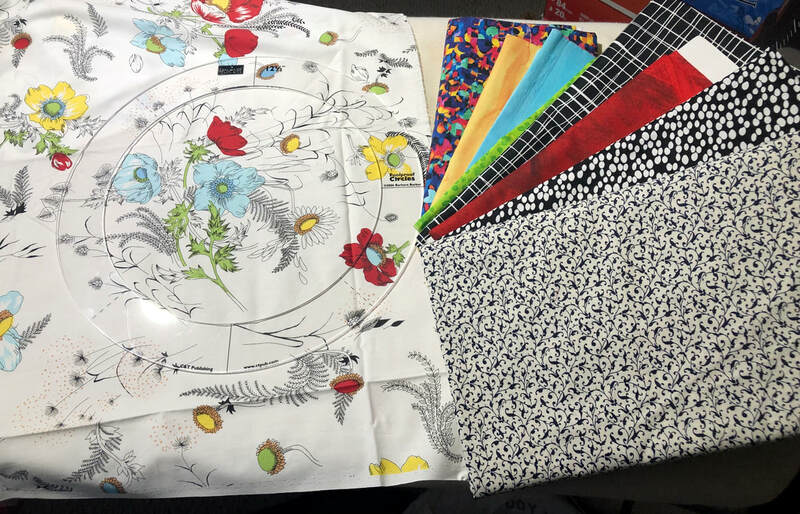 If your machine is not happy stitching Right to Left, there is a revised version that will stitch only Left to Right and then move to the Left to begin the next row. Please be sure you have checked Pause at Jump Stitch in your Controller Definitions so the machine will not drag a thread as it travels back to start again. The zip file includes both the continuous and the revised patterns. 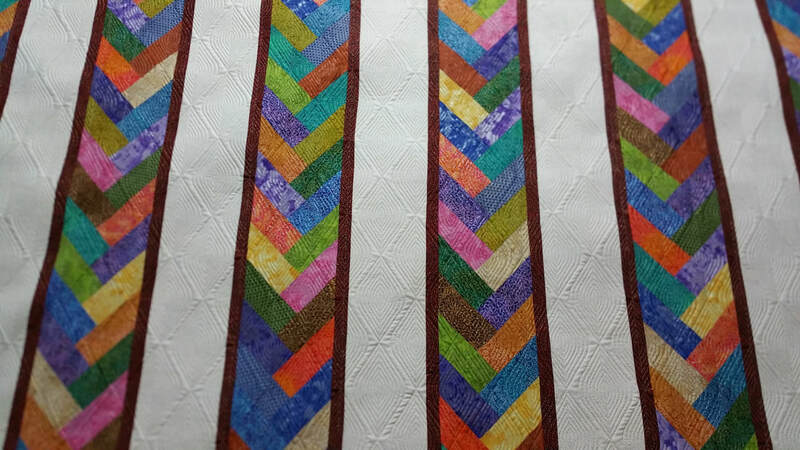 Use one pattern across full width of quilt. 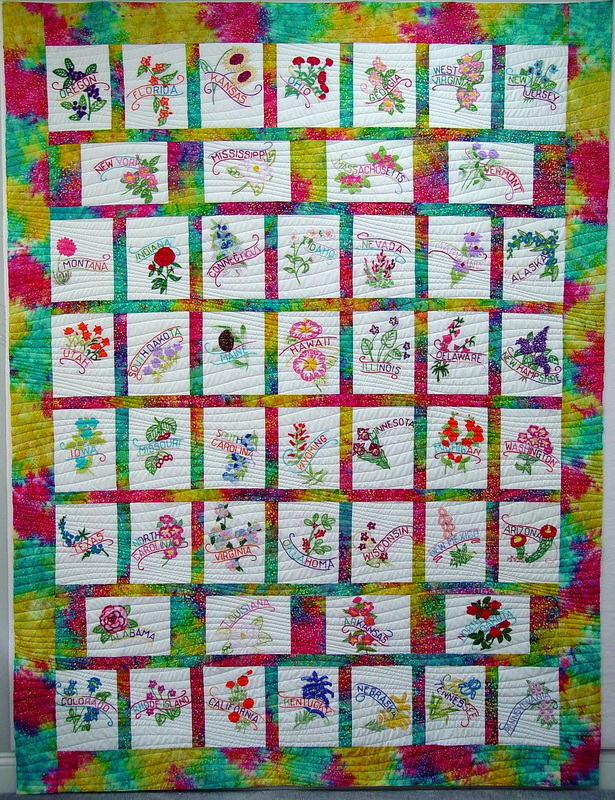 Vintage State Flower embroidery blocks, set together and quilted by Anita. Quilt pieced by Joann Wolff and quilted by Bob Cornella, aka Longarm Bob. 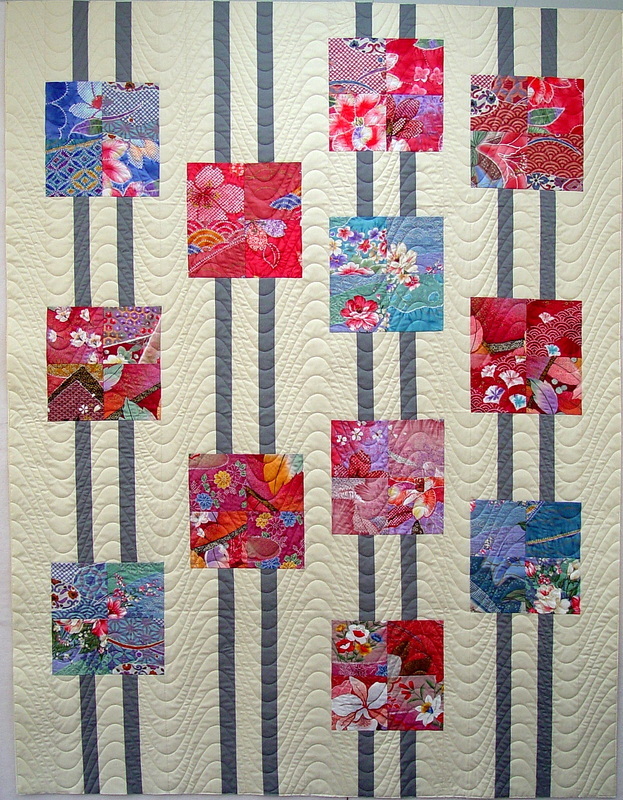 Modern Curves running lengthwise on a quilt by Donna Shepherd. version of Modern Curves, above. Place one pattern across the full width of the quilt, or run it top to bottom. Modern Serpentine is very dense and must be deeply nested to achieve the dimensional quality seen here. To make adjustments in the density, enlarge the pattern and then use Fill to crop off what is not needed. Modern Serpentine looks great across the quilt, or running top top bottom. Modern Serpentine 2 is a more open version of Serpentine, above. Size the pattern to fit the full width of the quilt. 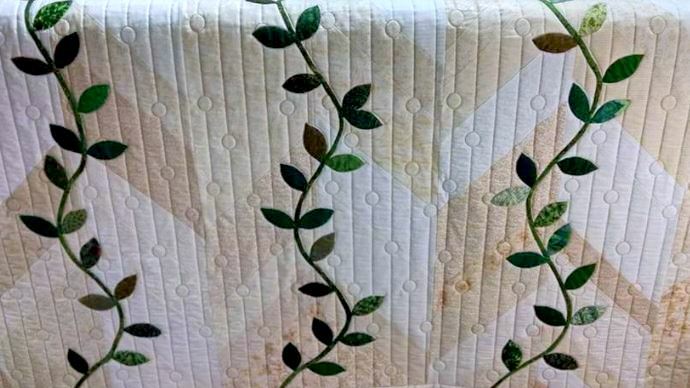 Modern Dew Drops used by Cathy Beall Tullos as a background for appliqued vines. Love it! The remaining patterns can be st up E2E or in Repeat Patterns. Use as many repeats and rows as needed to fit your quilt. 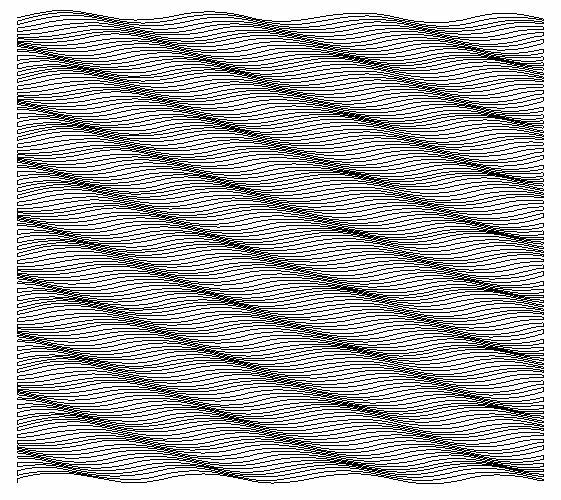 Use alternating rows to set up these basket weave patterns. 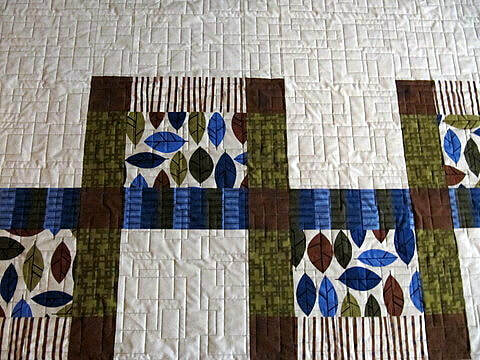 You can use Trim, Fill, or Divide to remove extra lines from the sides of the quilt. Modern Eccentric is a dense and deeply nested pattern, with beautiful texture and movement. 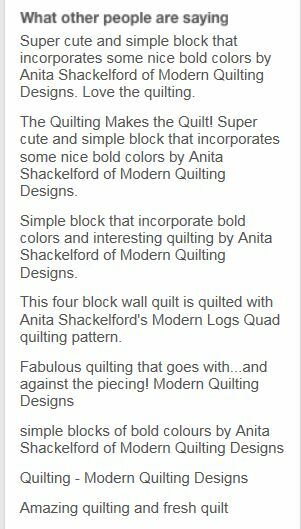 Great for bargello quilts! 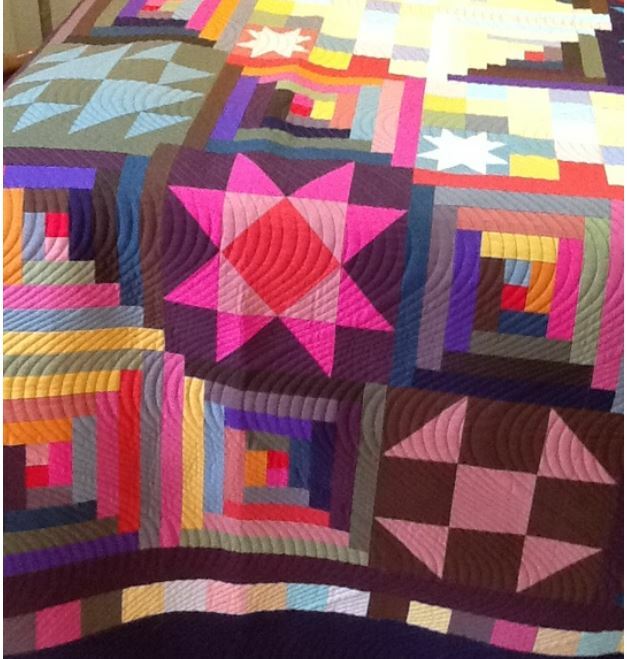 Quilt shown pieced and quilted by Kay Sheahan, Australia. 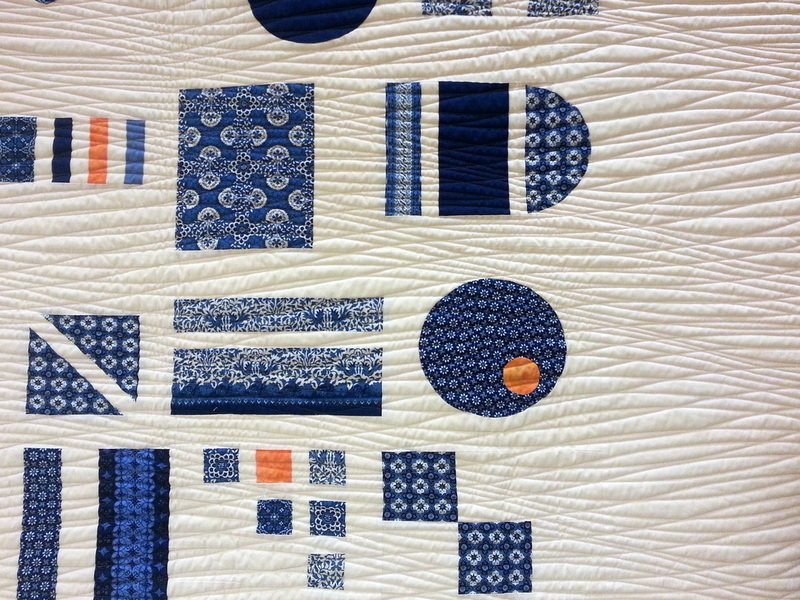 This pattern also looks great on a traditional log cabin, or a T shirt quilt, both of these quilted by Olga Schrichte. 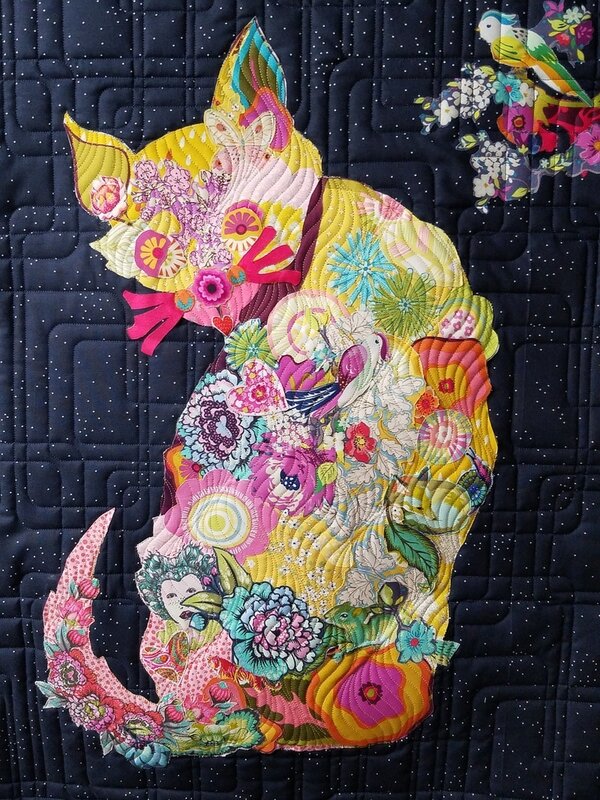 texture to this modern cat applique piece, made by Teresa Pusztai. Thanks for sharing, Teresa! At 16" H, lines will be 1 1/2" - 2" apart. Clamshells should be set up in alternating rows and nested to align the pattern with the row above. Bonus Idea - Quilt the Quilt Twice! and quilted the entire quilt again creating great texture.